Take some much-needed "you time" by dropping your kids off at Pump It Up! 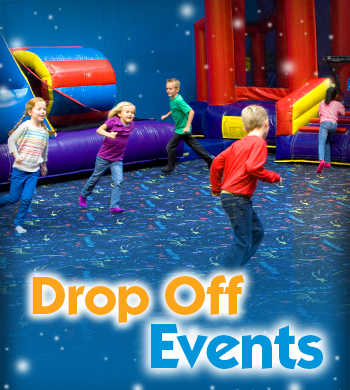 Parents' Night Out is for ages 5-11, and includes Open Jump, dinner, crafts/activities, games, movies and more. Don't miss out! To Reserve Your Kids' Spots, Follow the Steps Below. Have questions? Want to register? 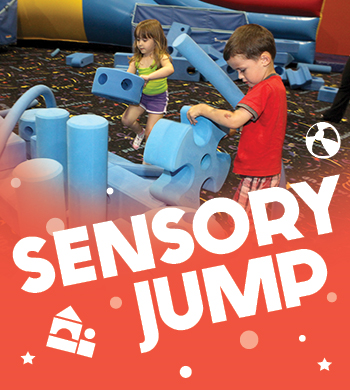 *Sensory Bounce Therapy® and Pump It Up do not guarantee insurance coverage. Please check with your insurance company regarding your policy’s benefits. 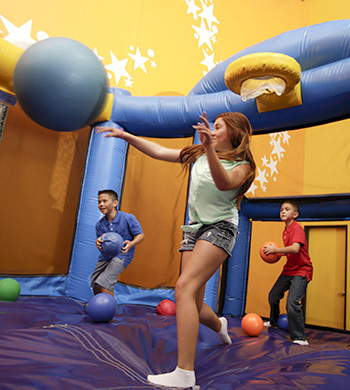 Enjoy a bounce-tastic time on our gigantic inflatables, then a delicious slice of pizza in the Party Room! *Space is limited* Advance Registration is strongly recommended. Spaces are held only for the amount of children pre-paid for. A signed waiver are required for each individual to enter; Socks are required to play. Available primarily on the weekends. Weekend schedule is set on the Thursday prior. 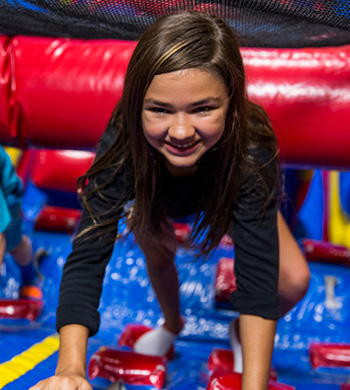 Come to Pump It Up for a jumping good time following by a tasty treat in the party room! After 70 minutes of bouncing, sliding and games in our fun Play Arenas, we go to the party room to enjoy treats. At our Oooey-Gooey Treat Bounce, enjoy yummy apple slices with your choice of toppings. -OR- At our Dreamy Ice Creamy Bounce, make a delicious ice cream sundae.